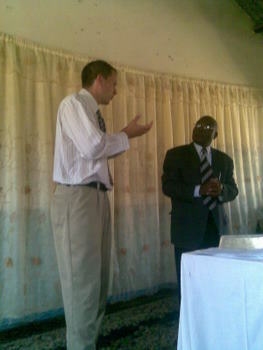 I preached last Sunday at Grace Baptist Church in Kabwata. The pastor of this church plant is a student in our class. I was VERY encouraged by my time there. 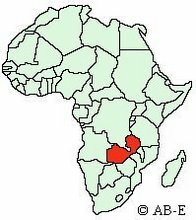 The church is a good fifty Zambians strong. I just sensed a strong leadership presence and a good foundation being laid for this young church. I preached on fear. It was particularly good timing for the pastor who just lost his job and faces a bit of an uncertain future. My cousin’s kids (I am calling them my nephew and niece) are here, Jordan and Corbin Ruseler, and they are fitting right in. They survived quite well despite sitting on a very hot room for 2.5 hours, especially a day after Corbin had the 24 hour stomach flu. We rewarded them and Bradyn and Rhoda for their good behavior with a nice cool ice cream afterwardsJ .